The Emerging Phase of Social Performance. 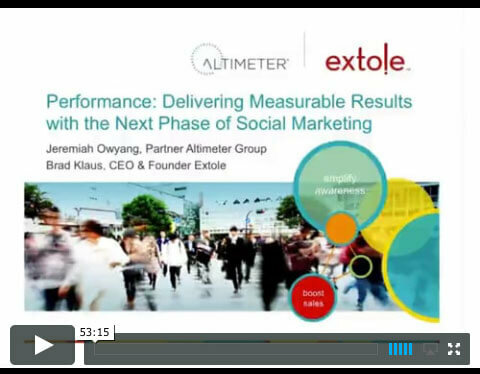 Jeremiah Owyang, Partner at Altimeter Group, and Brad Klaus, Extole Founder, discuss the evolution of social marketing and the emerging phase of social performance. Learn about solutions available for marketers today and examples of brands that are driving real results across the entire marketing funnel from their social marketing initiatives.